Compensation was provided by ConAgra Foods via Mode Media. The opinions expressed herein are those of the author and are not indicative of the opinions or positions of ConAgra Foods. I am married to a man who is all about sports, so there is always a game on in our home. He is married to a woman that loves to play sports, but hates to watch them. I will sometimes join him to watch a game or two, and by watch I mean browse on my tablet while occasionally peeking at the game. Come on ladies, I know I’m not the only one who does this! How do we meet in the middle? Food is our common ground. Fall means lots of football which means lots of food. My husband prefers “homegating” rather than tailgating; he prefers to watch the game from the warmth of his home. Sometimes he has a few of his friends over so I usually prepare a small spread of snacks both sweet and salty to satisfy their appetites. 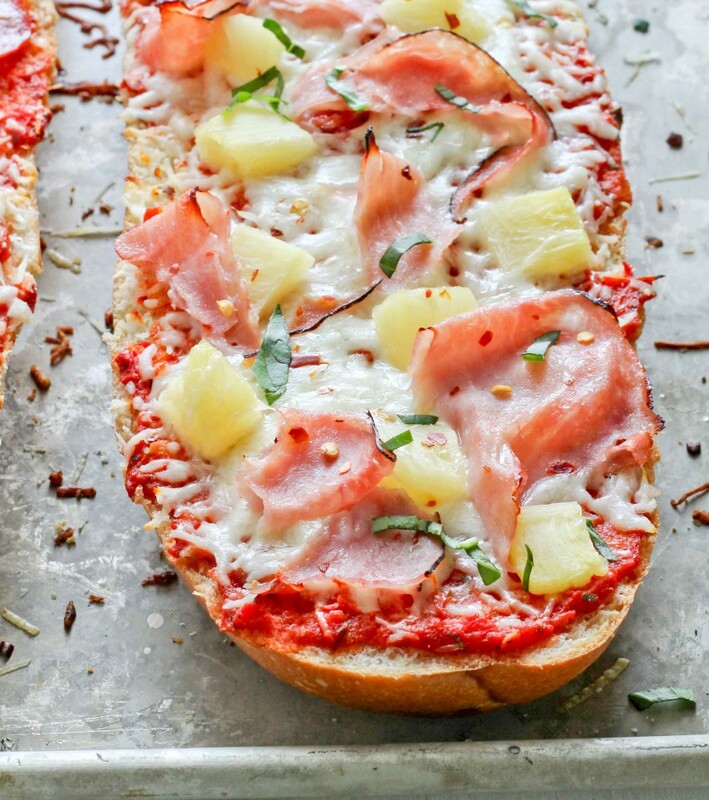 One of his favorites is pizza and while I do make the crust from scratch most of the times, I sometimes make a quick version using French bread in place of the usual crust. 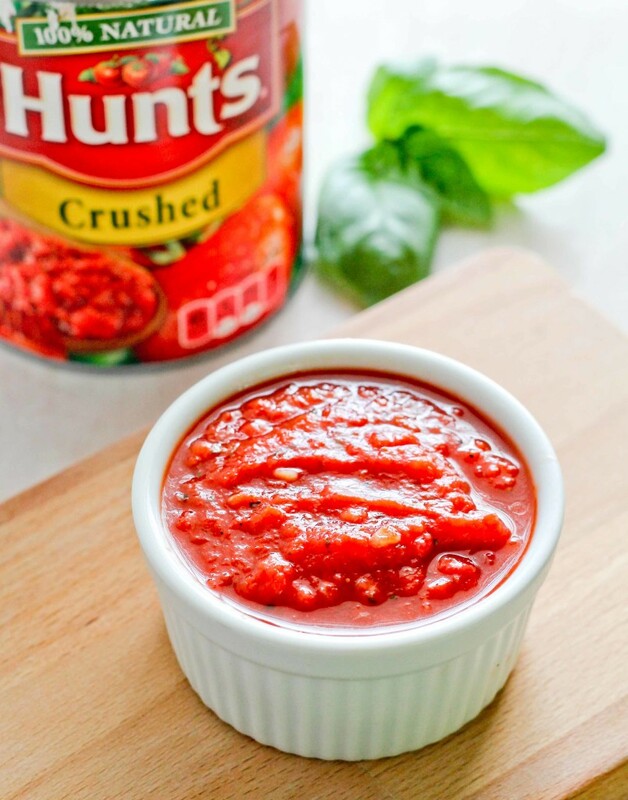 I also make a super quick pizza sauce using Hunt’s Crushed Tomatoes; I’ve found that this is better than using fresh tomatoes because fresh tomatoes tend to make a thin, watery sauce. 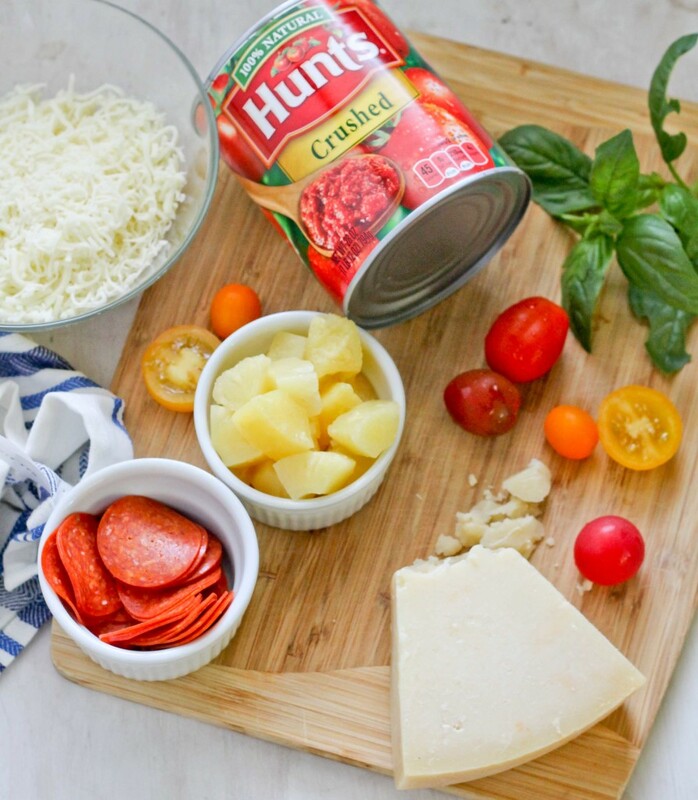 Hunt’s is made with fresh, juicy tomatoes that are all natural and is a great substitute for fresh tomatoes. I simply mix the sauce with oregano, garlic, basil and a few other ingredients to create the pizza sauce; it just takes a few minutes and you don’t have to cook it before spreading it on the pizza! Whenever I make any type of pizza, I usually use a variety of toppings, that way everyone can have their favorite. I made ham and pineapple, cheese, pepperoni and I also topped one pizza with these beautiful sliced tomatoes and fresh basil that I picked up at the farmers market! It’s safe to say that the ham and pineapple was the favorite as it didn’t even make it to the serving tray! What are your favorite snacks to have when watching the game? Mix all ingredients in a bowl and set aside. Preheat oven to 400 degrees. 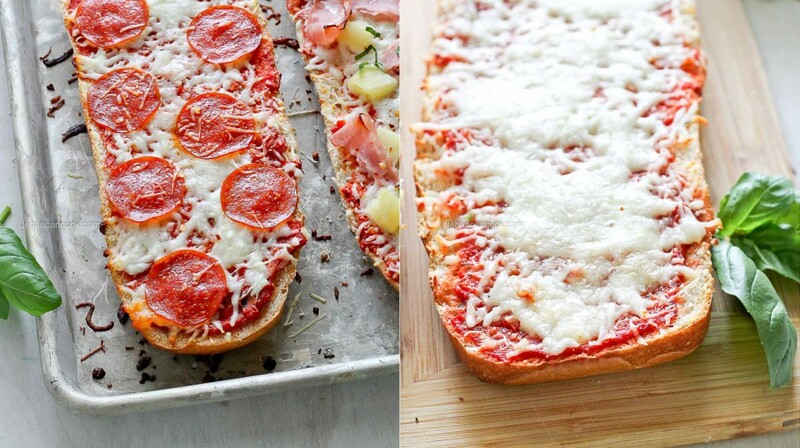 Place the French bread crust side down on 2 baking sheet pans. Lightly brush the top with olive oil. Place into preheated oven and bake for 5 minutes. 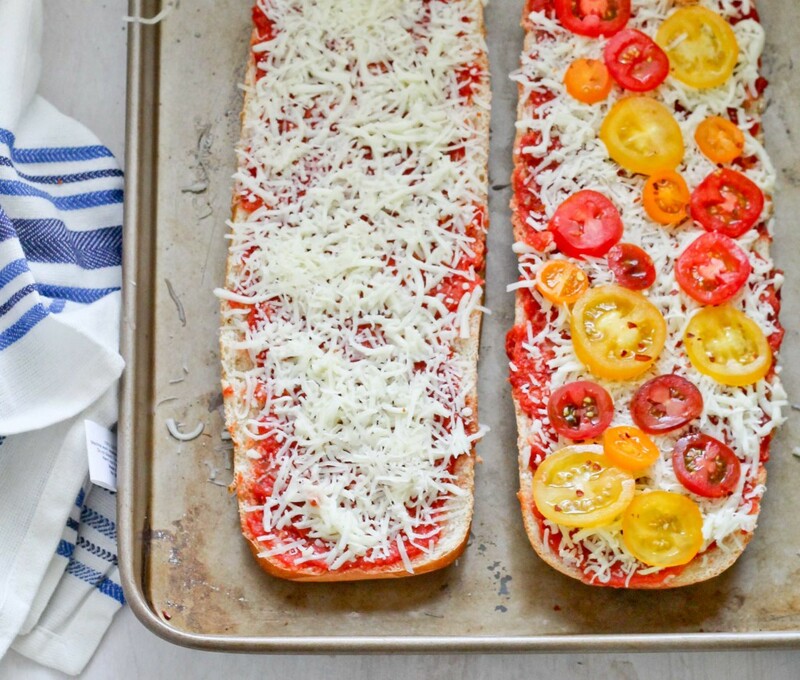 Remove bread from oven and spread an even layer of tomato sauce on each piece; do not add too much or the will become soggy. Next divide cheese evenly between the four pieces of French bread, then top with toppings. You can use any combination that you prefer. I added a sprinkle of red pepper flakes on the ham and pineapple. Place into oven and bake for an additional 10-12 minutes until cheese is melted. Remove from oven and allow to cool for a few minutes before cutting and serving. *This recipe makes more than enough for this recipe, there should be extra remaining. Place into ice cube trays and freeze for future use! as Hunt’s, Hebrew National, Swiss Miss, Manwich, PAM Cooking Spray and many more. 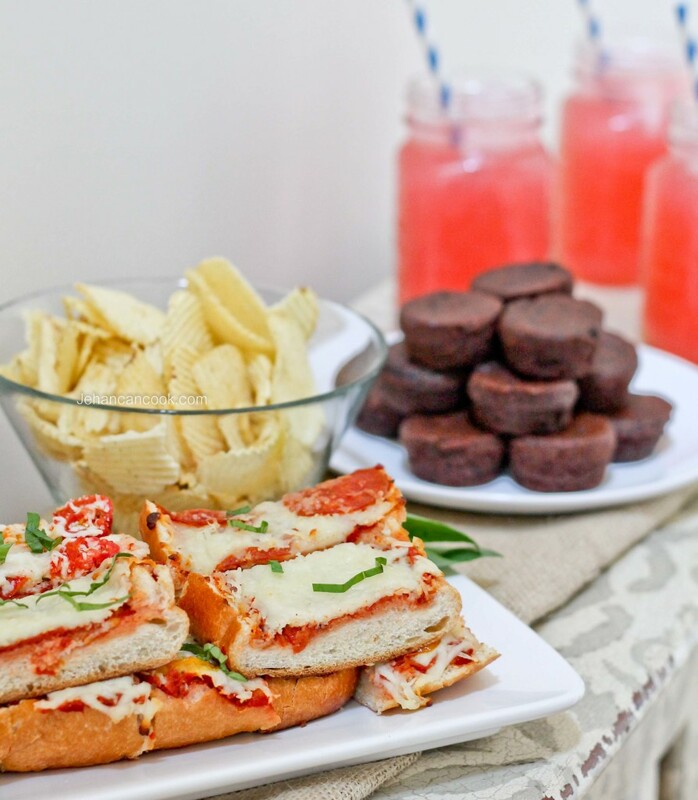 Whether on their own or as part of a delicious recipe, ConAgra Foods brands are perfect for nearly any eating and entertaining occasion. 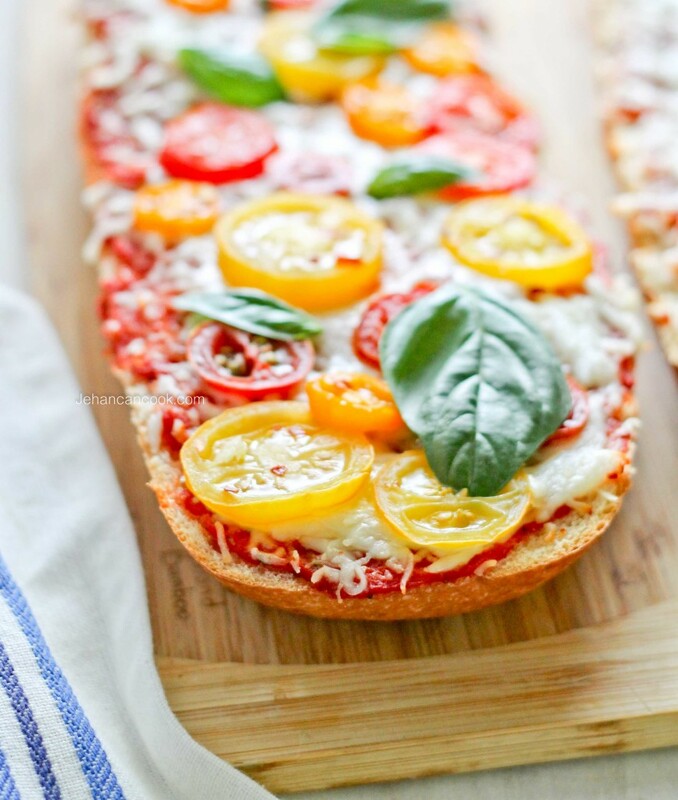 Great ideas using french bread as a pizza base. These look so easy and delicious. Yum!